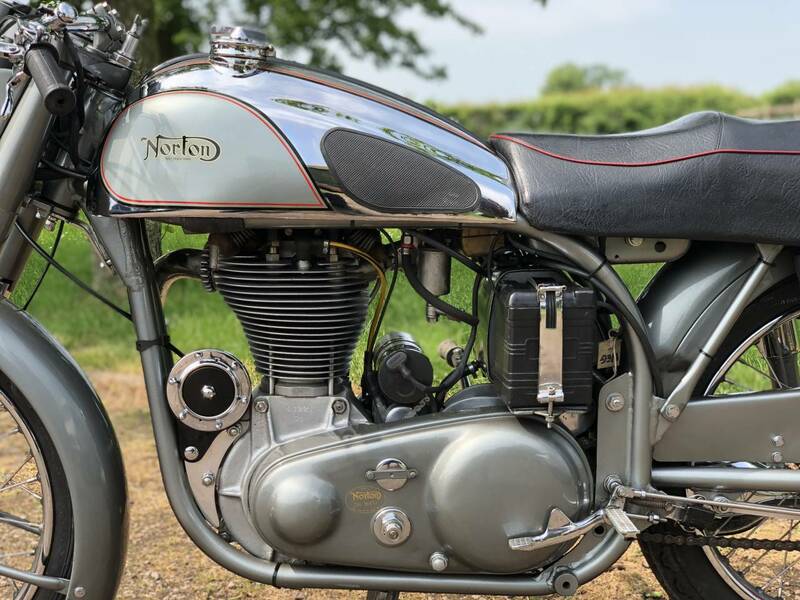 1953 500cc Norton International Clubman TT Factory Special Order Number 16 : This Iconic Machine Is A Factory Special Order, Number 16 , Best In Show Winner 2 Years Ago At The Norton Owners Club Annual Show At Brooklands ; The Biggest And Best Norton Show In The World ! 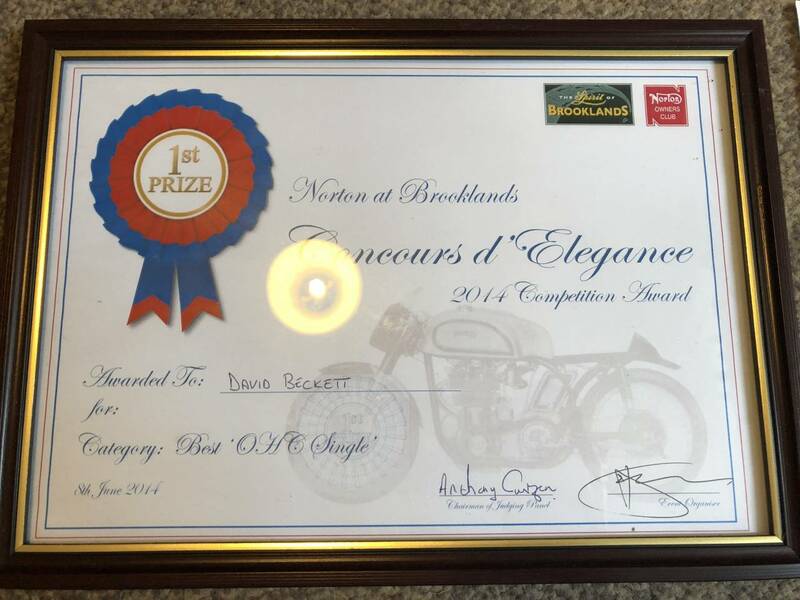 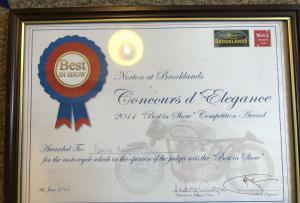 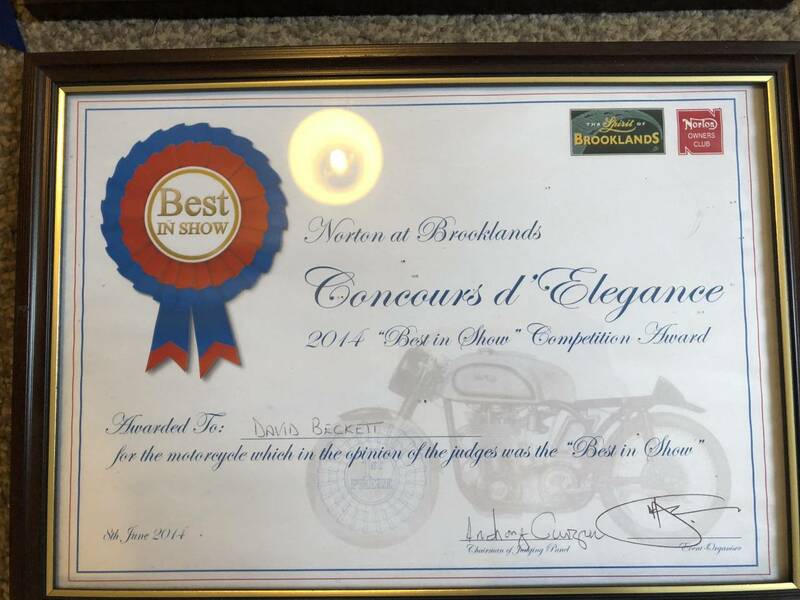 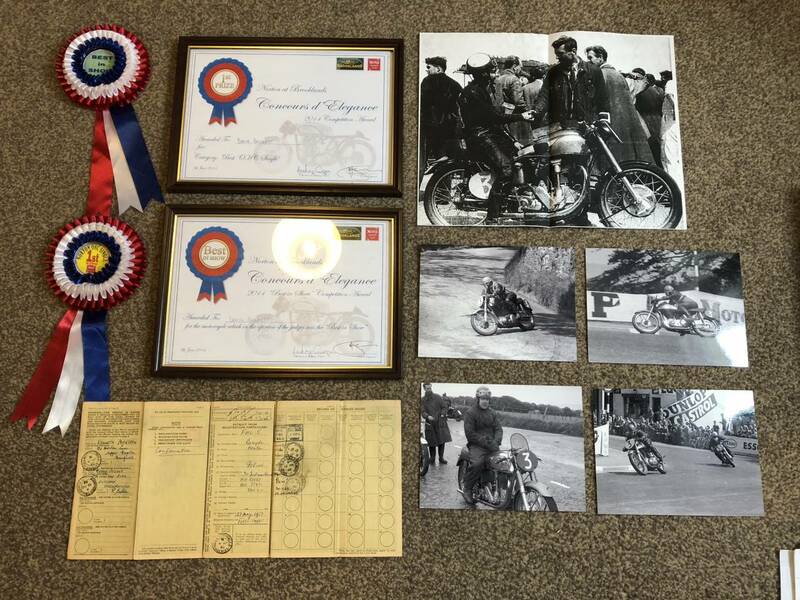 It Also Won The Most Desirable Norton Award And Comes With The Winners Rosettes And 2 Framed Photographs Signed By The Owners Club . 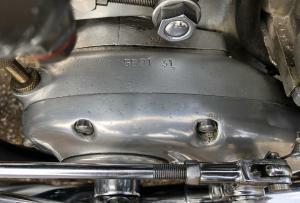 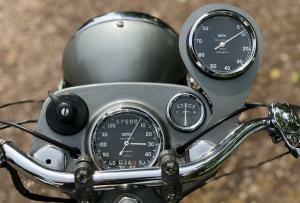 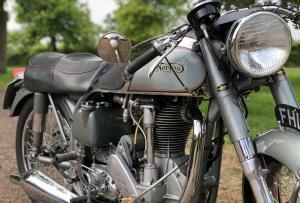 Built In May 1953 ; This Is The Most Iconic Inter 500 We Know Of ! 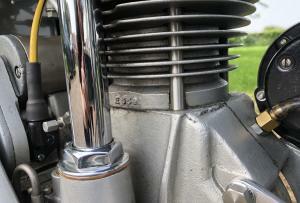 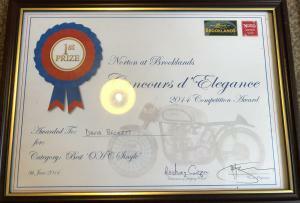 It's Condition Is Very Near Concours And Is 100 % Original , Accept For The Engine Rebuild . 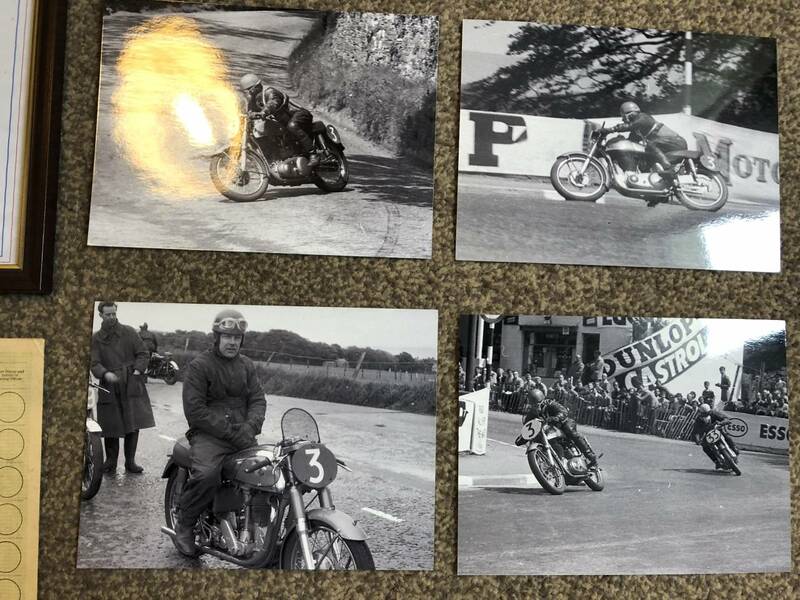 The Last Keeper Is Now 82 Years And He Is A Very Talented , Car And Norton Racer , Who Has Won 2 Or More Championships And Has Raced Against Damon Hill And Jacky Stewart ! 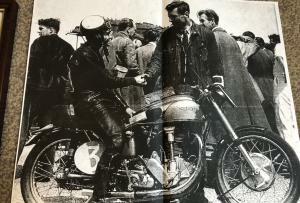 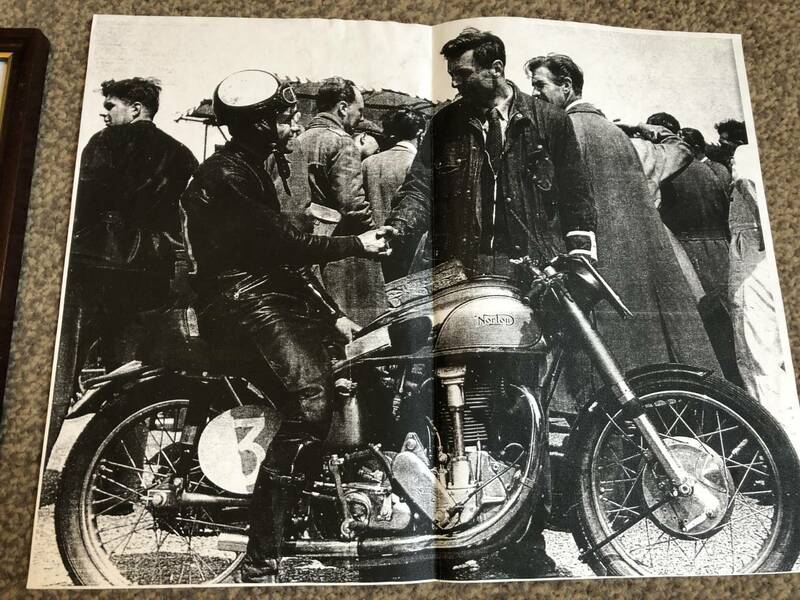 It Was Originally Sold By A Norton Dealer In Wakefield Where It Was Raced By Clifford Stonsor Parkinson In The 1953 Clubman's TT Where He Finished 32nd (72.89 MPH) Before The Sale. 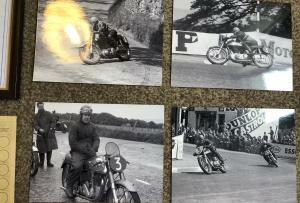 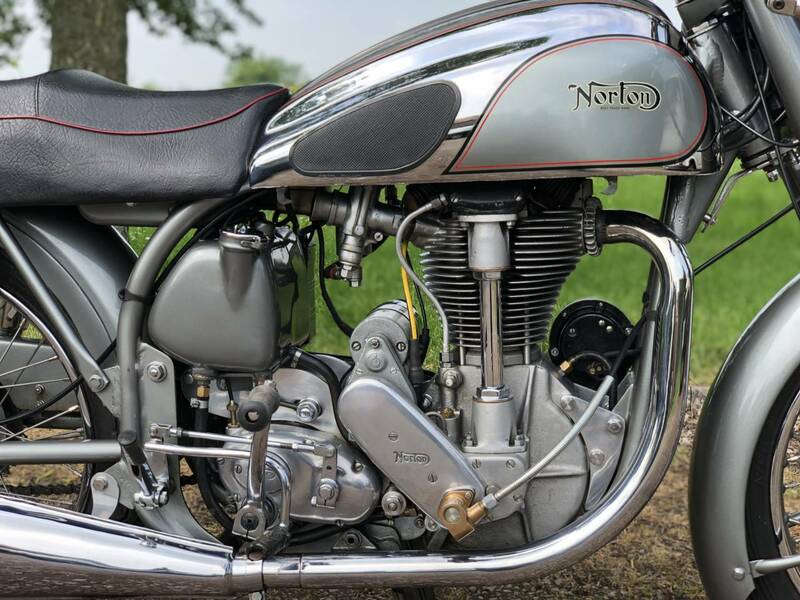 It Was A Norton Imposed Proviso , That These Were Only Suppled To " Race Approved " Dealers And Agreed To Be Raced In The Manx TT, Prior To Being Offered For Sale To The General Public. 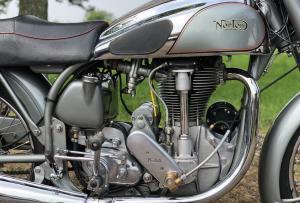 The Norton Also Raced In The 1955 Clubman's TT By Denis Pratt. 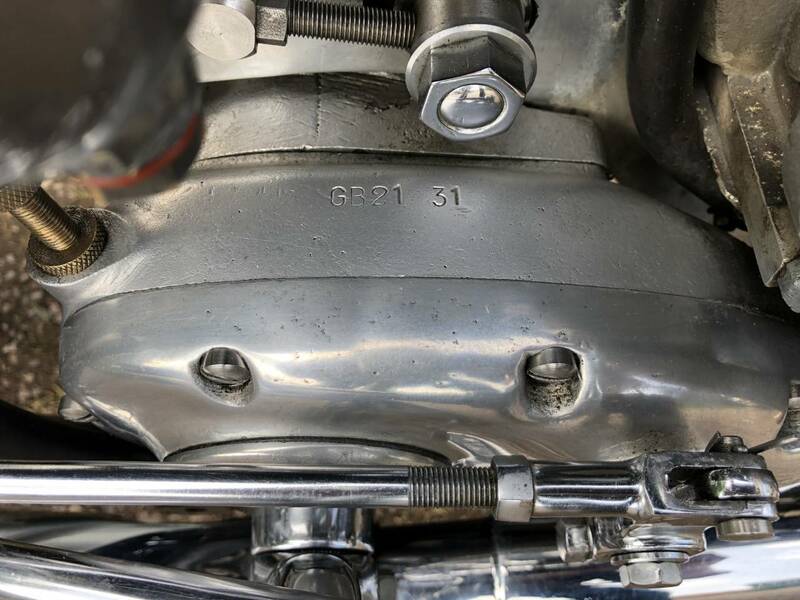 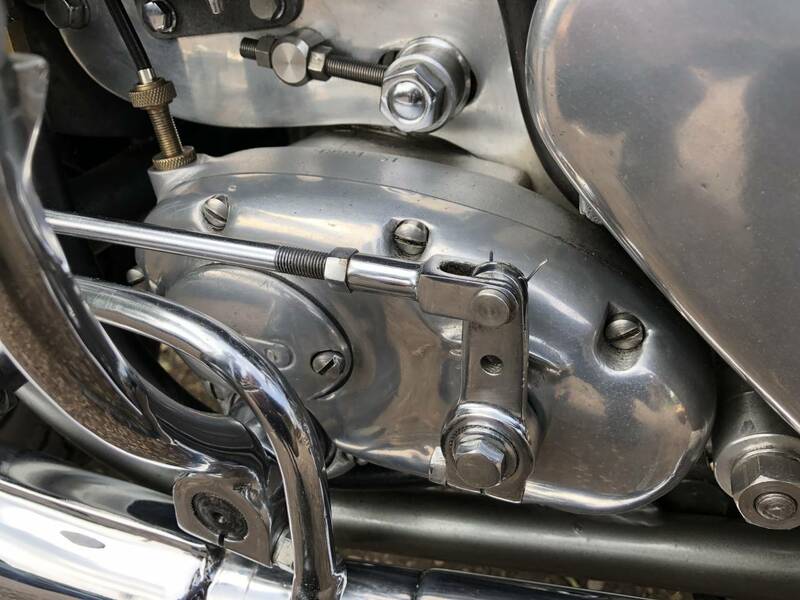 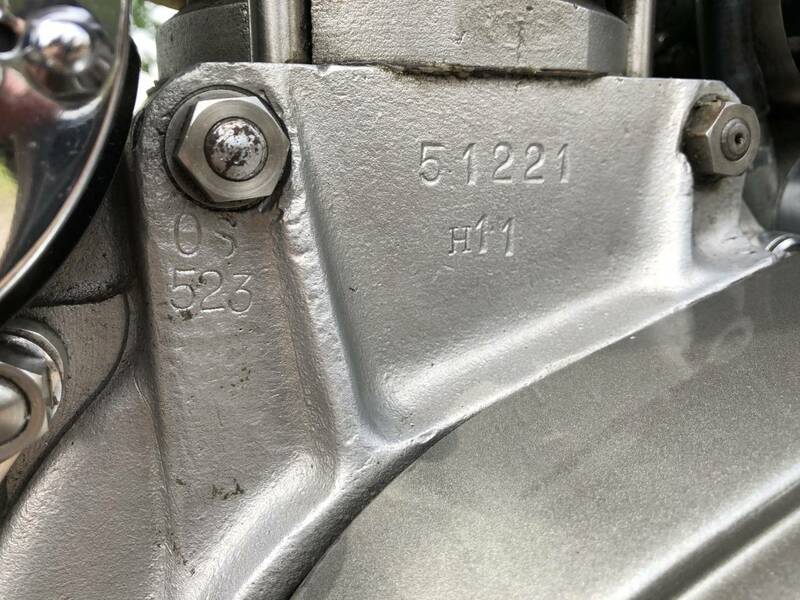 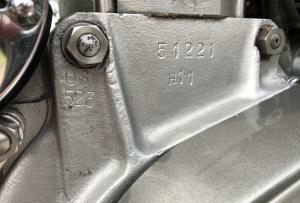 The Special Order Number 16 Spec , Includes : Rare Bolt Up Frame ; Rev Counter ; Rear Sets ; What Looks To Be A Longer / Leaner Racing Fuel Tank (To Be Investigated ! ) 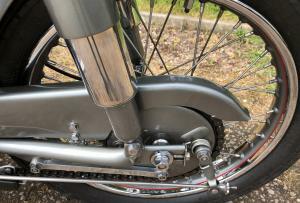 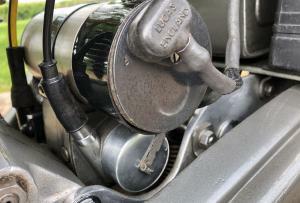 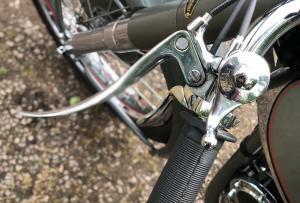 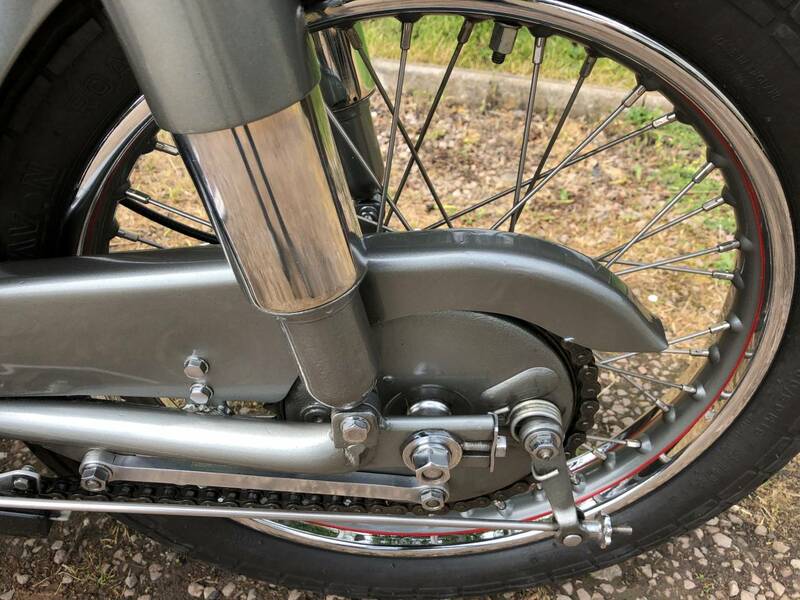 ; Larger Oil Tank ; Vented Front Brake ; Etc. 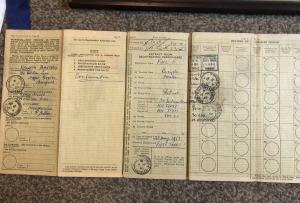 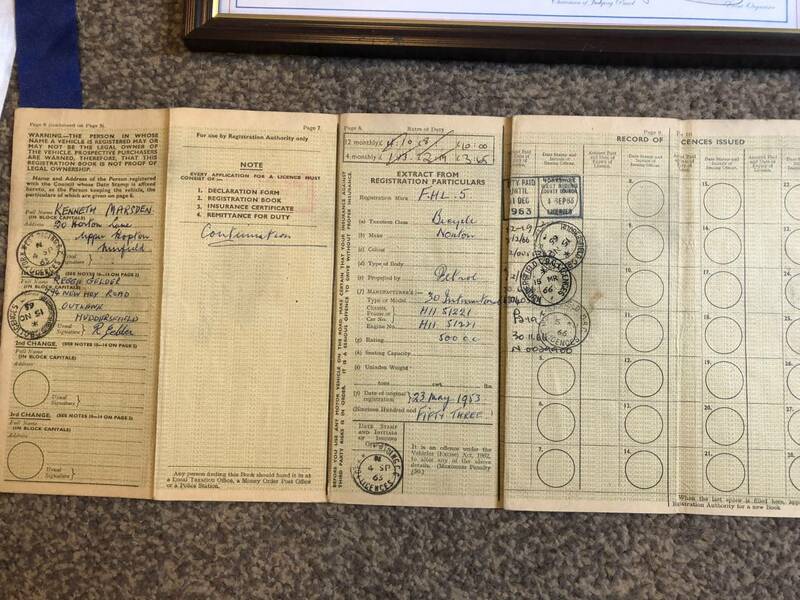 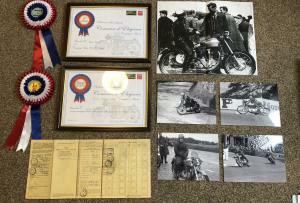 It Has Its Factory Build Sheet ; Matching Numbers ; Old Card Buff Logbook ; Current V5C ; Original 4 Digit Registration Number And A Large Box File , Full Of Documents ; Photos ; History Papers ; Trophies ; Etc , Etc .. 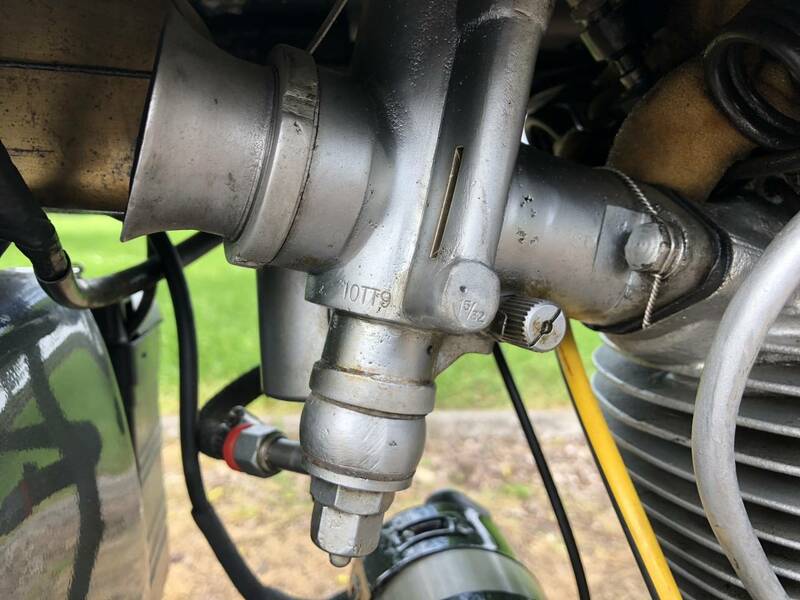 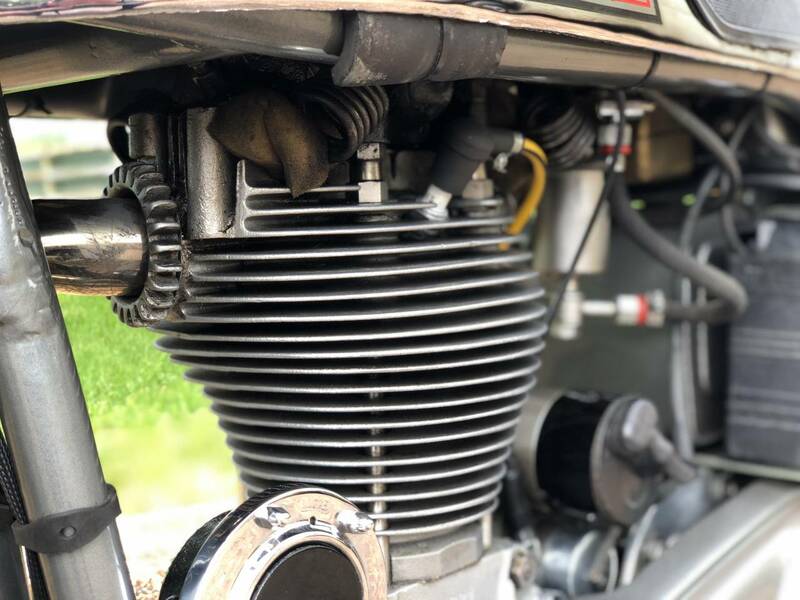 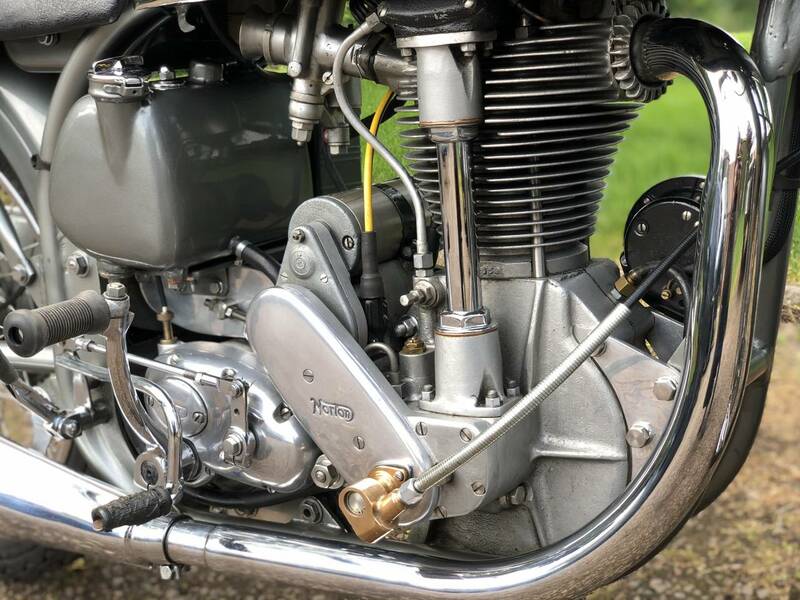 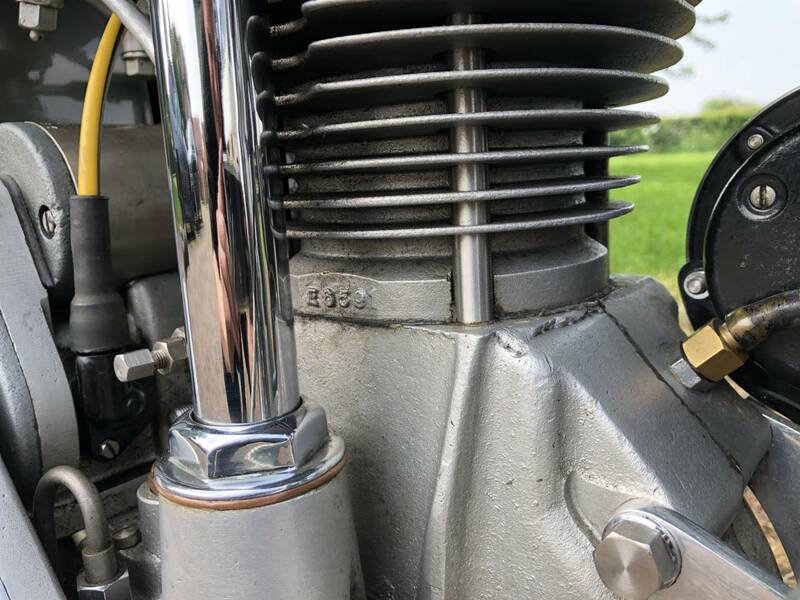 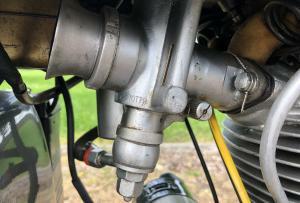 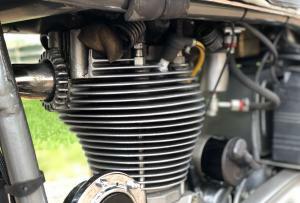 The Engine Has Been Rebuilt By Barry Strickland ; The Inter Guru And Considered The Best , Some 3500 Miles Ago , So Nicely Run In And Runs As Sweet As A Nut ; See Video. 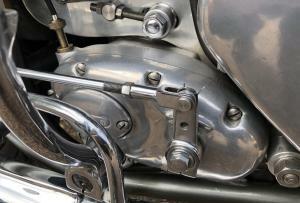 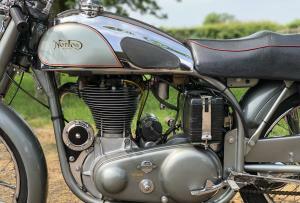 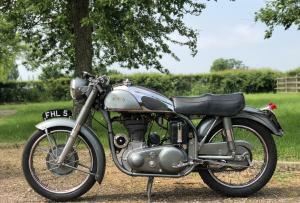 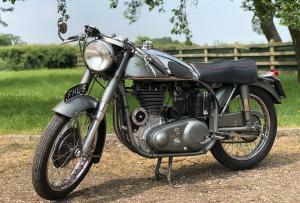 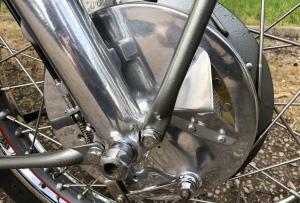 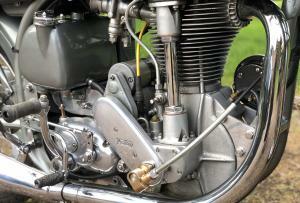 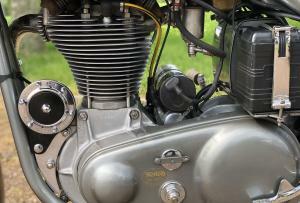 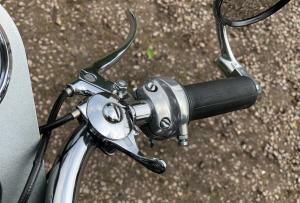 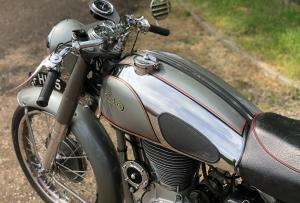 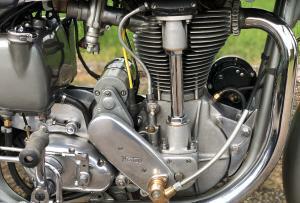 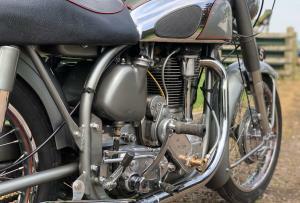 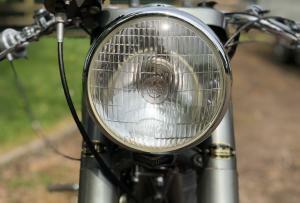 The Rest Of This Iconic Machine , Was Rebuilt And Restored By The Nephew Of Phil Kettle , Of Norton Fame! 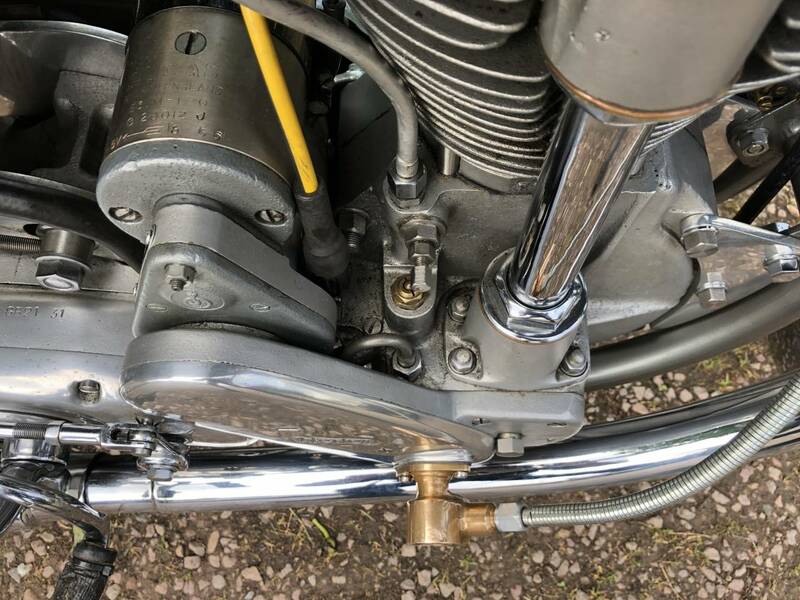 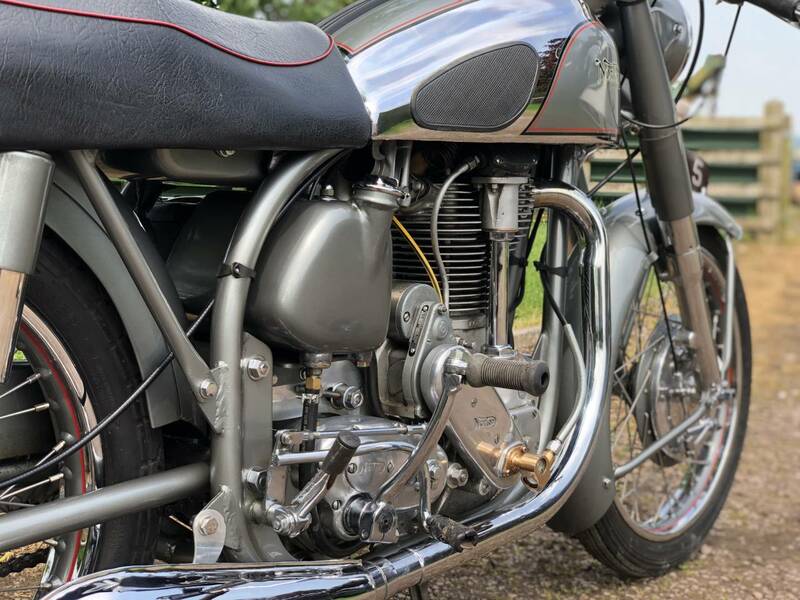 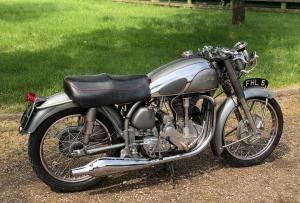 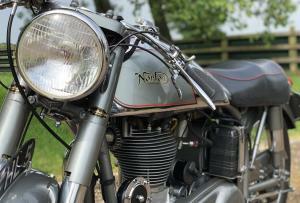 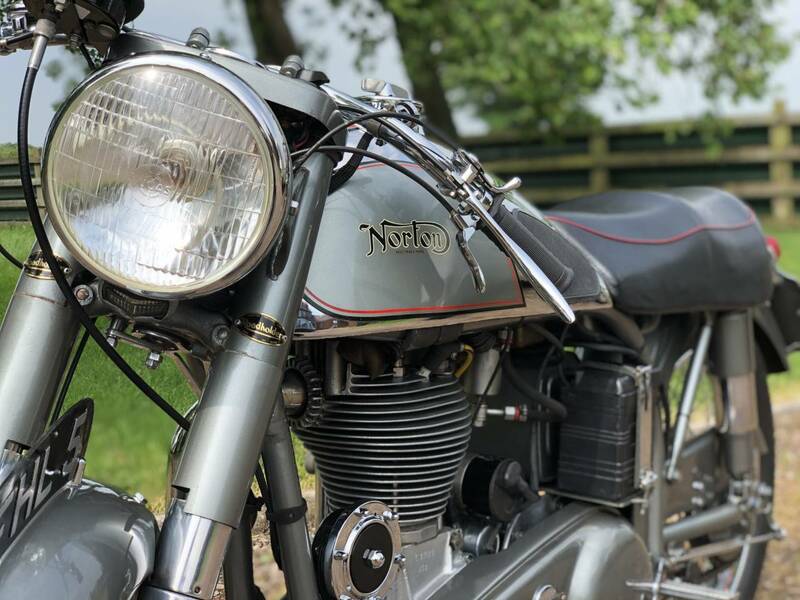 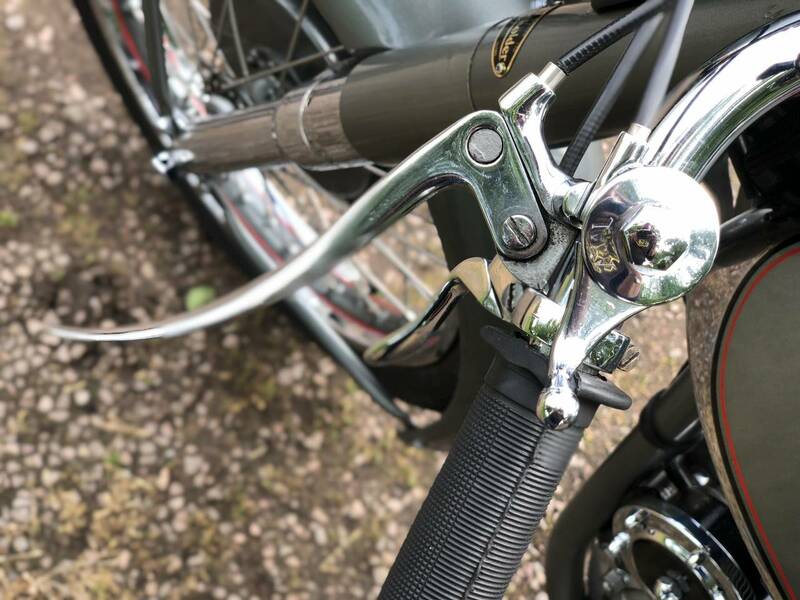 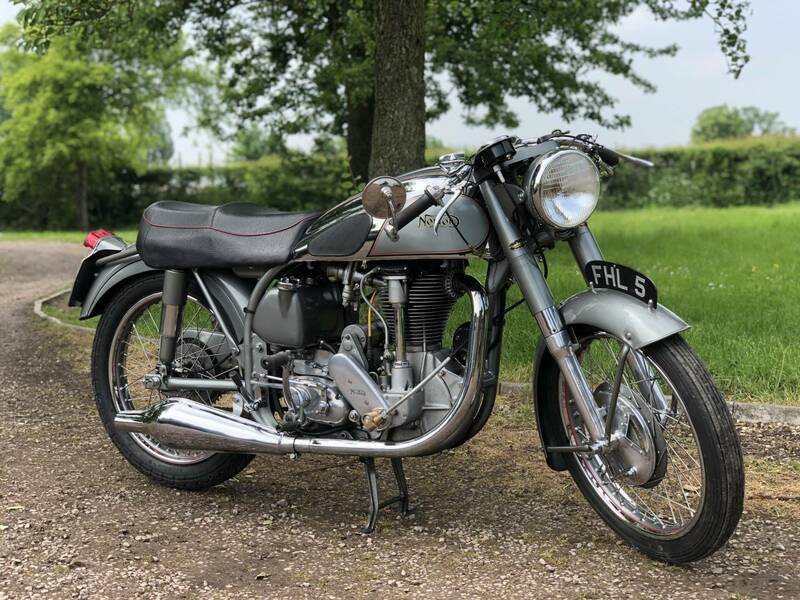 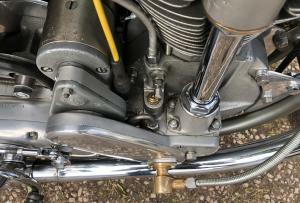 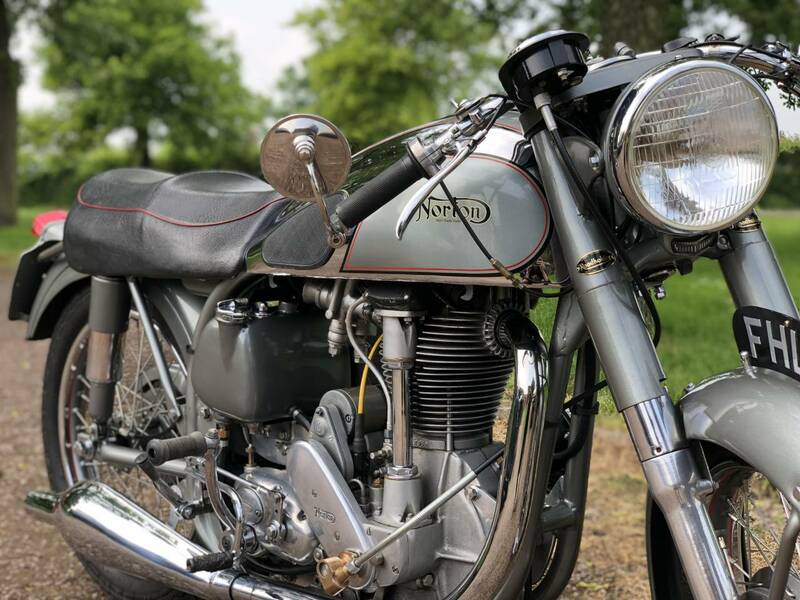 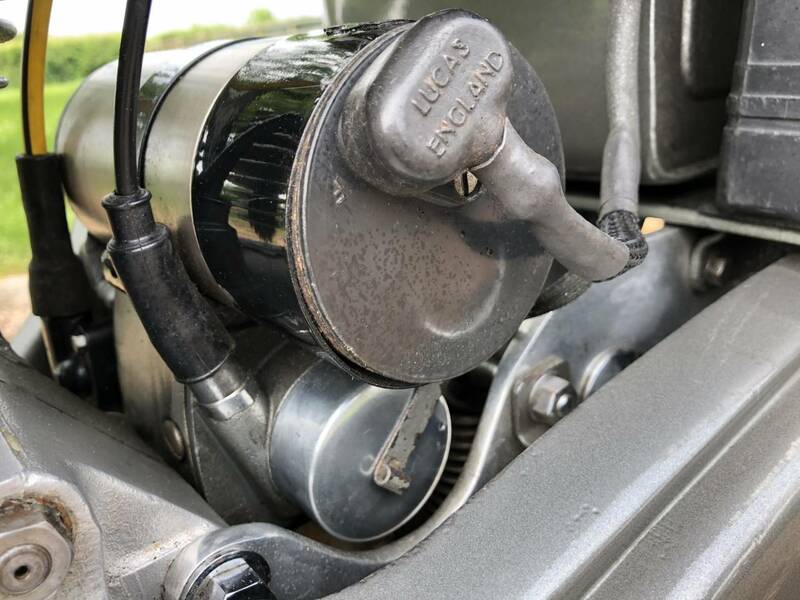 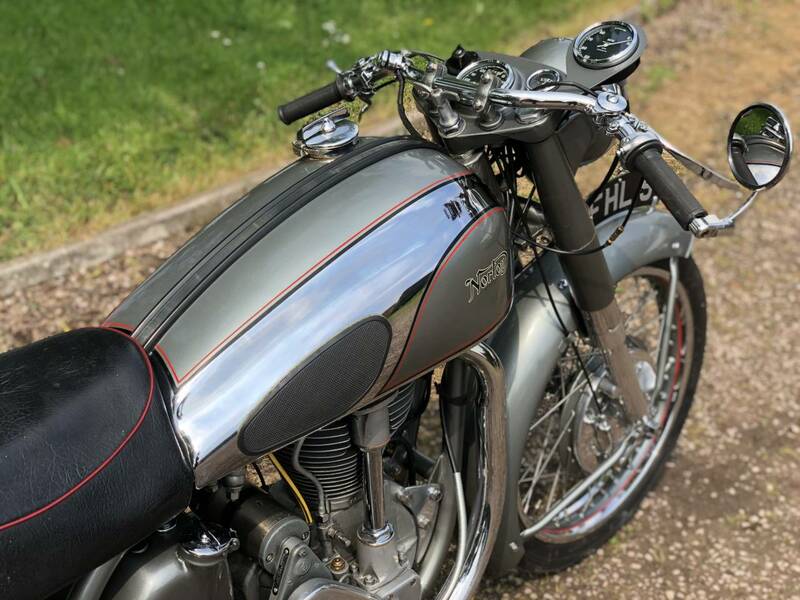 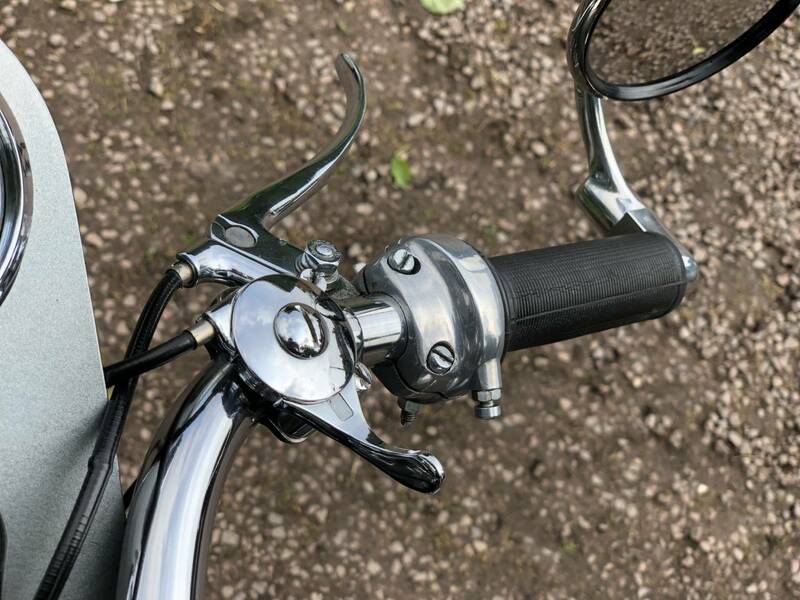 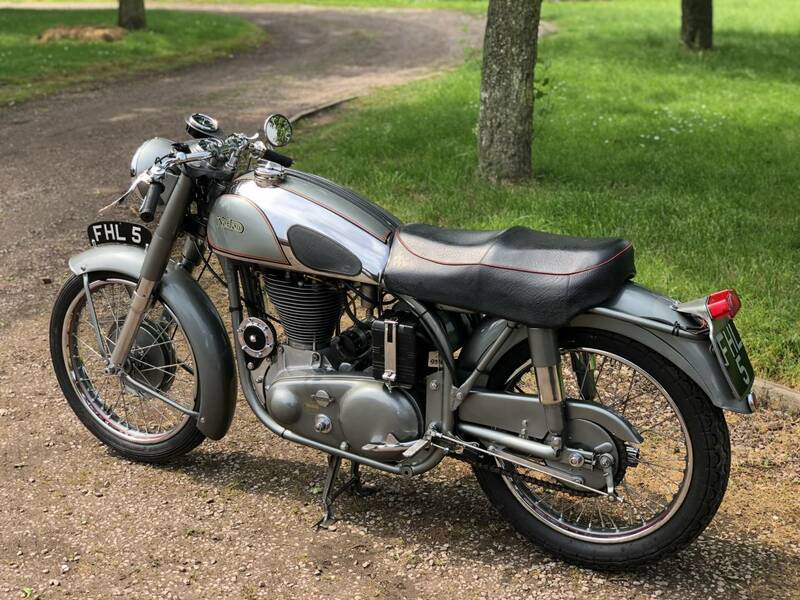 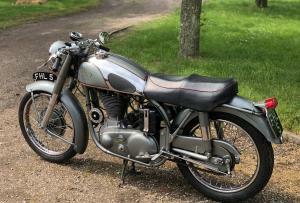 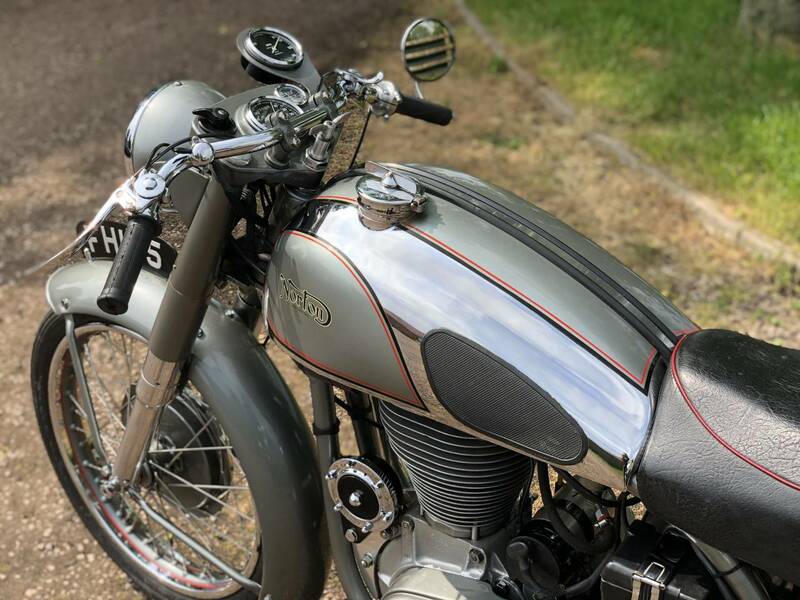 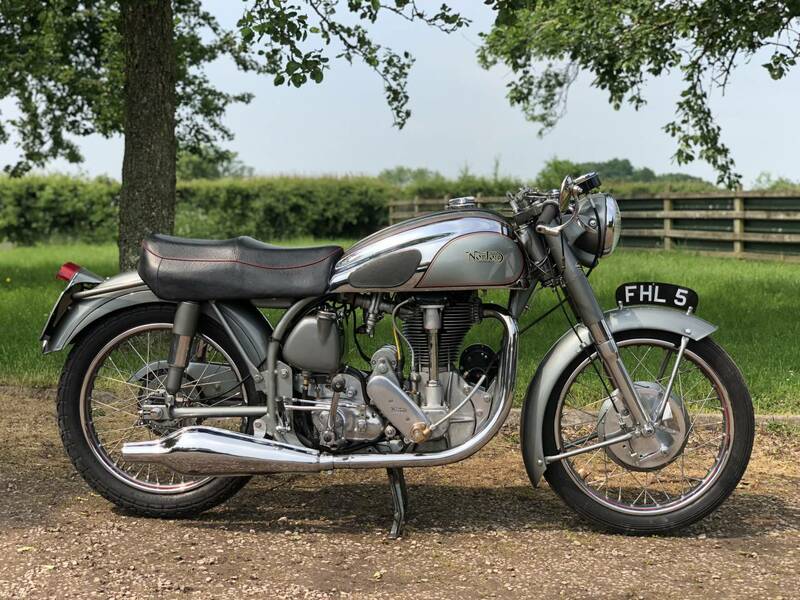 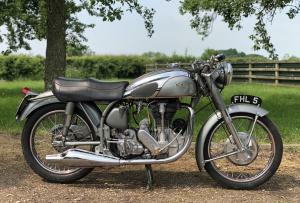 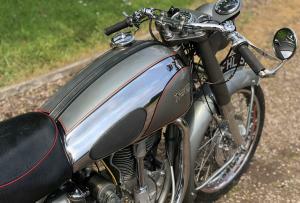 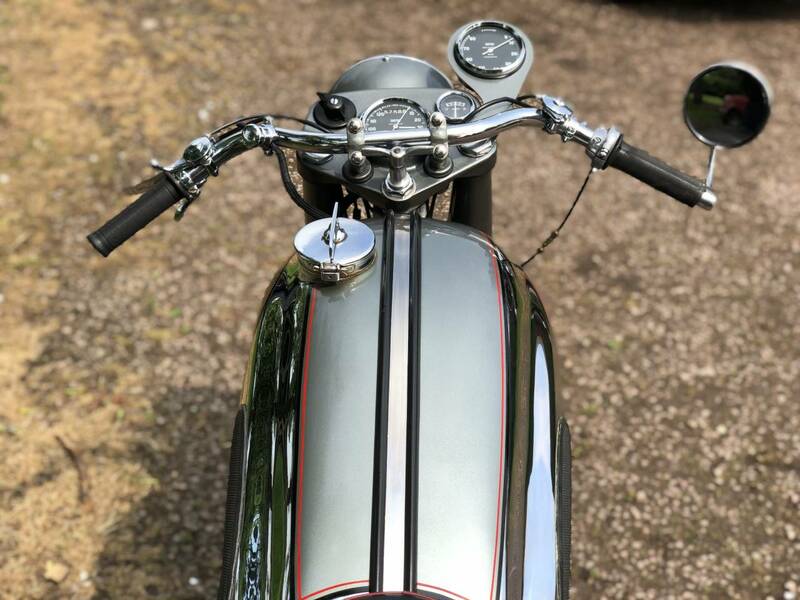 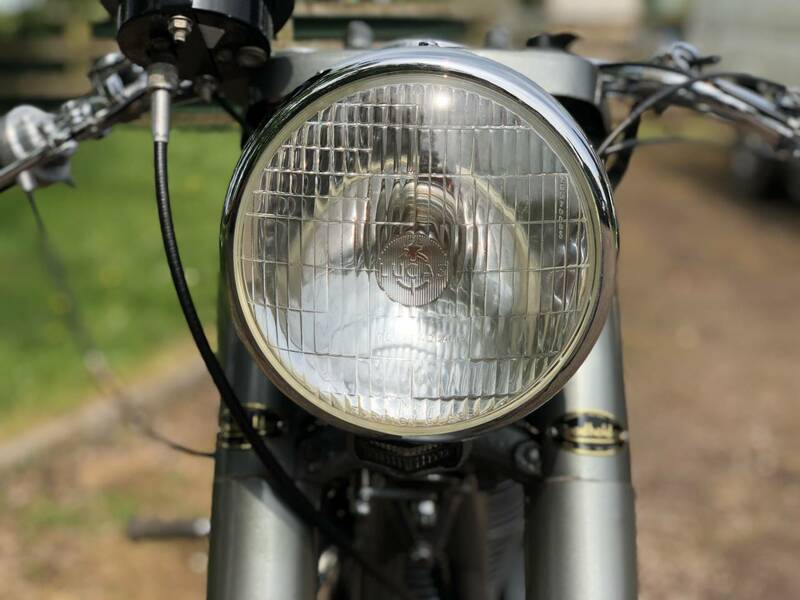 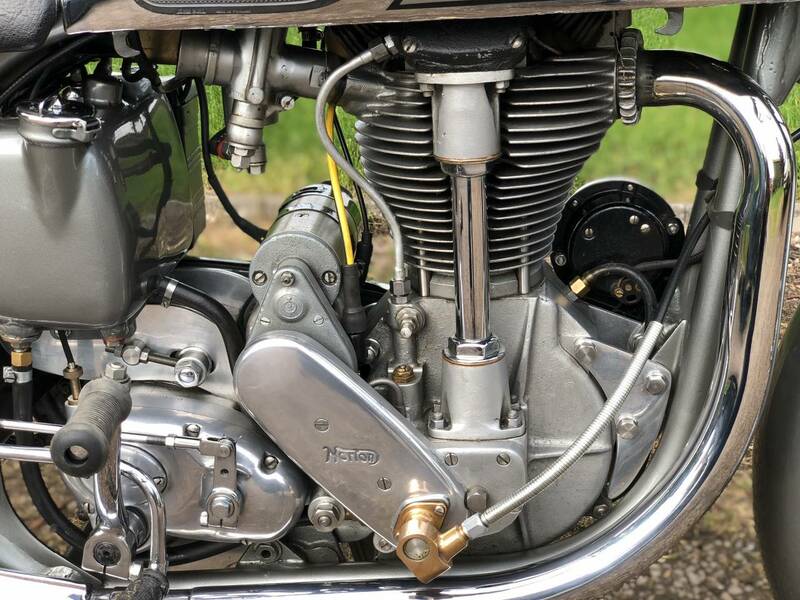 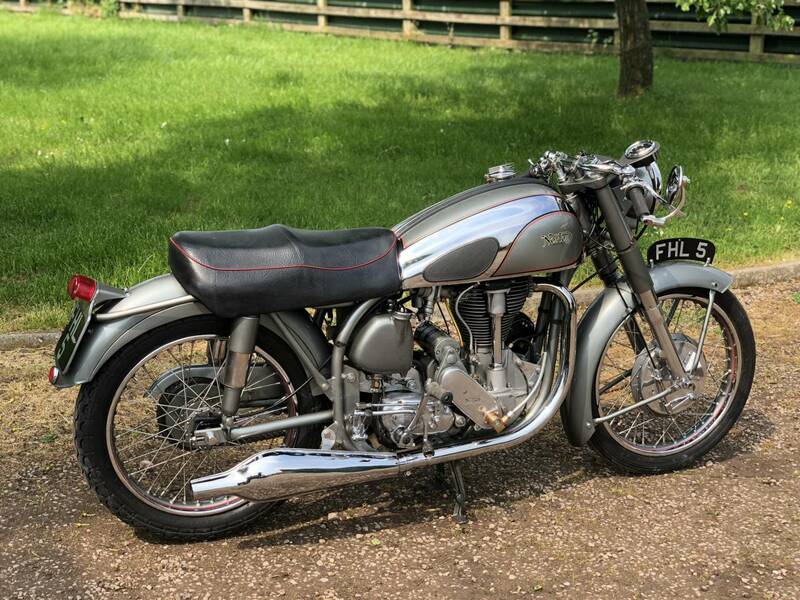 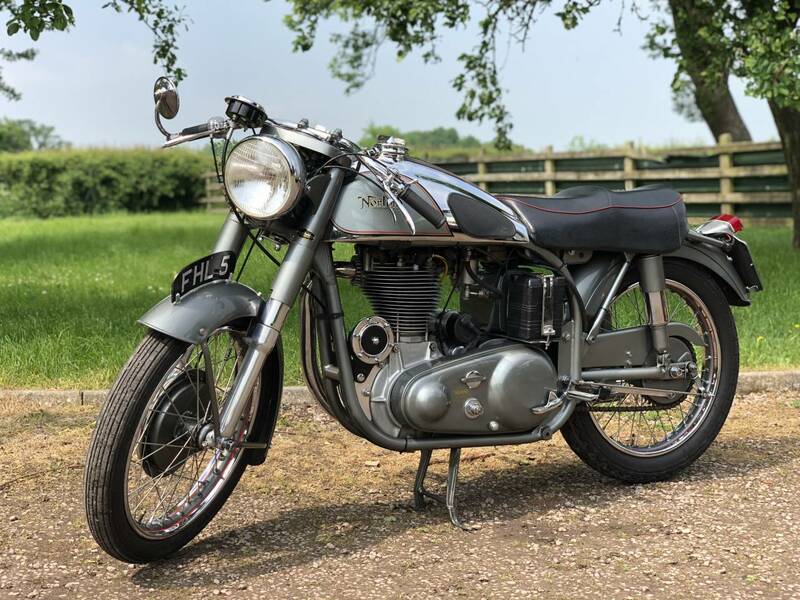 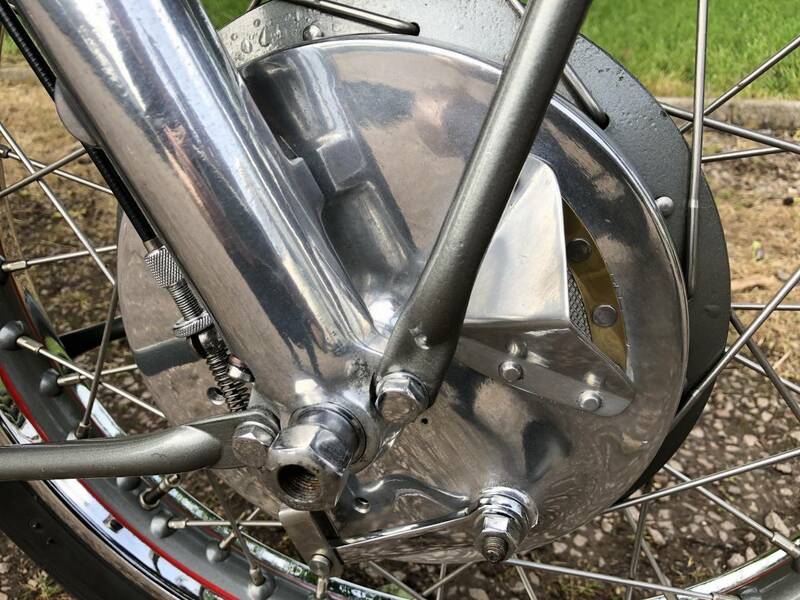 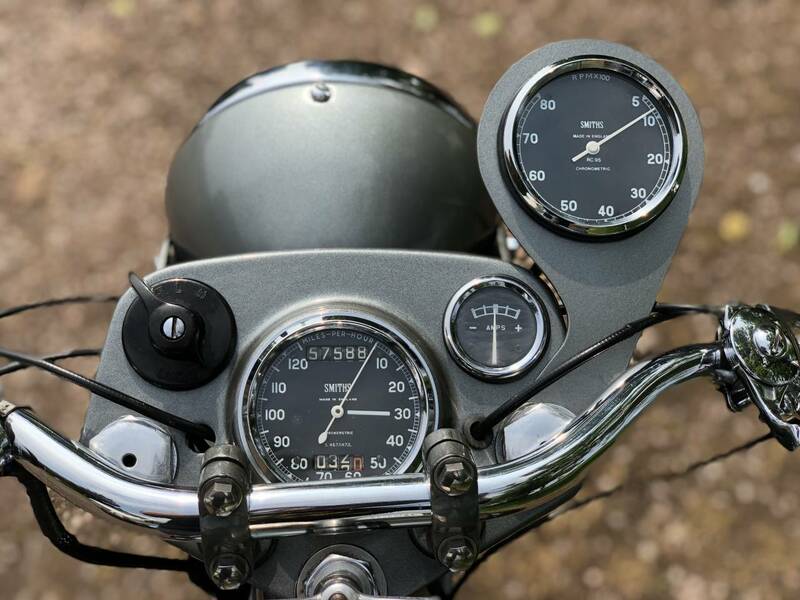 This Is A " Never Again To Be Repeated " Opportunity , To Invest In A " One Off " Very Rare ; Near Concours ; Best In Show Winning ; Historic Norton , With Impeccable History And Provenience! 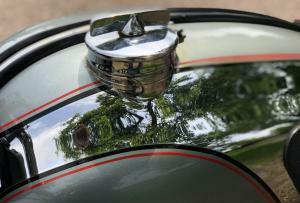 Museums And Collectors Are Very Welcome To Visit And See And Hear It Run . 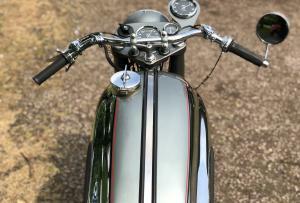 You Can See Us Ride It Too.